This white 1965 Chevrolet Commercial G10 Model G Series 10 Chevy Van 1/2 ton six door no side door windows is a mostly complete panel van ready to be restored or customized. The body has solid and dry western desert sheet metal. The bottom of the left door and body corner are damaged. There is no front bumper. The spare is mounted on the front. The front Chevrolet badge is missing. There is a dent along the left rear rocker. 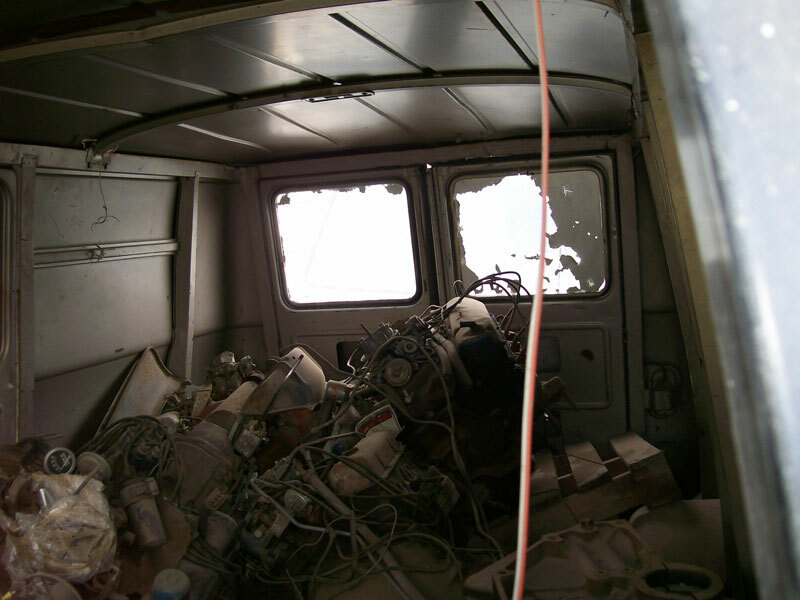 The fuel filler and gas tank are missing. The back of the top, left rear door and the left side doors are dented. The truck has tow mirrors and trailer hitch. 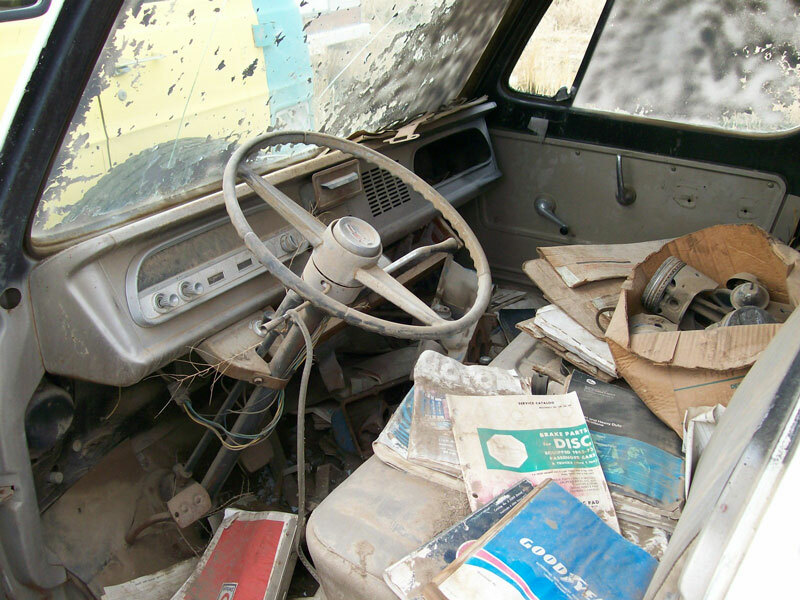 The front interior and seats are all there. The 153 CID OHV inline 4 cylinder 90 HP motor and 3 speed manual floor shift transmission are all there. The running condition is unknown. 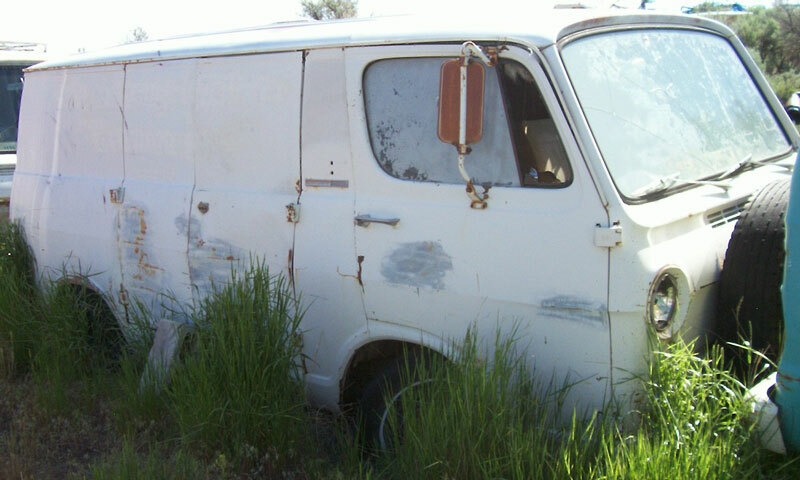 Here is your chance to restore or customized a 65 Chevy panel van. 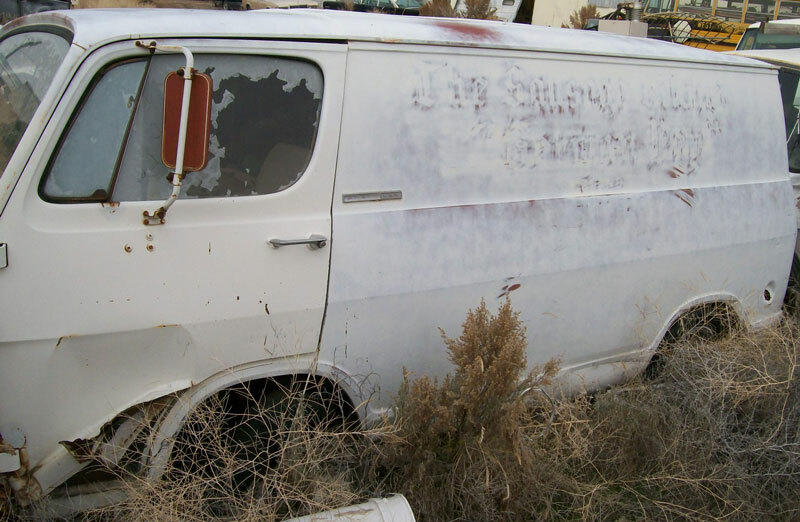 Please call (406) 318-0270 for details about this restorable classic 1965 Chevrolet project van. For sale $3,500.